A new photoreactor can increase the rate of light-mediated reactions up to 10 times compared with the same reactions run using standard setups. 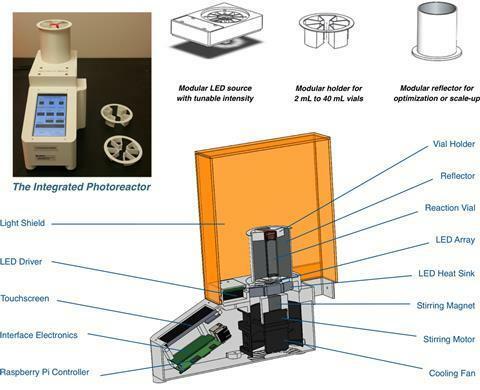 The benchtop device allows researchers to precisely use light as a reagent for the first time and promises to further the field of photoredox catalysis. Organic photoredox catalysis can enable bond-making that is difficult or impossible using other types of chemistry. The number of scientific reports published on the topic has increased exponentially, from less than 20 in 2010 to roughly 200 in 2015. However, photons only penetrate reaction vessels to a depth of about 2mm. Until now there has been no consensus on how to maximise photon exposure – individual research teams have come up with various lab-made solutions, which makes comparing and reproducing reactions tricky. Their team has developed a small photoreactor that allows researchers to fine-tune reaction conditions without worrying about experimental setup and reproducibility. Surprisingly, the reactor also speeds up the rate of known photocatalytic reactions and enables reactions with substrates that have previously proven problematic. Transformations such as cross-electrophile couplings and decarboxylative arlyations are up to 10 times faster when carried out in the reactor compared with running them in a vial next to a lamp. The reactor maximises light exposure of the reaction vessel while minimising heating. 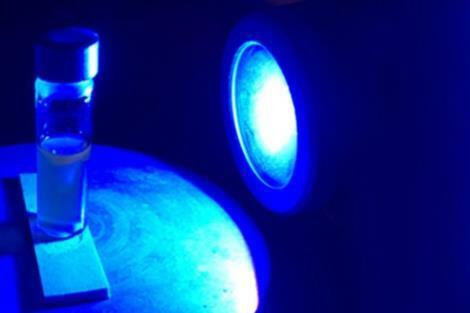 Moreover, it also allows researchers to precisely control the lamps’ intensity and use photons like a reagent, adding the same ‘amount’ every time. Merck & Co decided not to patent the design in the hope that competition will drive down the device’s cost. Penn Optical Coatings, a company MacMillan’s physicist brother is involved with, is already working on a commercial model. ‘A large number of companies have agreed to adopt [the reactor] as a standardised system,’ MacMillan tells Chemistry World. What would chemistry look like if key discoveries had happened differently?